Celebrating the life of John J. "Jack" Gillespie, Sr.
Obituary for John J. "Jack" Gillespie, Sr.
Beloved husband of Mary T. Gillespie (nee Brewer), whom he married March 31, 1951, loving father of John Jr. (Karen) Gillespie of Addison, IL, Peter (Lynn) Gillespie of Winfield, IL, Brian (Susan) Gillespie of Winfield and the late Kathleen (Bill) Eitzenhoefer and the late Theresa "Terry Ann" Gillespie, adored grandfather of 14 and cherished great-grandfather of 12 wonderful children; devoted son of the late John and Anne (nee Hayes) Gillespie, dear brother of James (Josephine) Gillespie, the late William (Frances "Mickey”) Gillespie and the late Fr. Thomas Gillespie, brother-in-law of Thomas (the late Patricia) Callahan, fond cousin, uncle, great-uncle and friend of many. Jack grew up in Chicago's Jefferson Park neighborhood, attended St. Edward Grade School and St. Patrick's High School. He served in the U.S. Navy during World War II and later earned a Bachelors of Science in Commerce from DePaul University in Chicago. retirement from Illinois Bell in 1983, he worked as a realtor for Baird & Warner in Naperville. 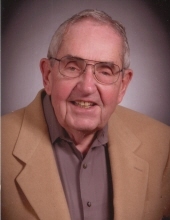 Jack was a longtime, active member of St. Raphael Catholic Church, Naperville. Service to the Church and the Community was always a very important part of his life. He was a member of the Naperville Evening Kiwanis, the Kiwanis Key Club International, the Knights of Columbus Damen-Hildebrand Council #650, and three social groups affiliated with Illinois Bell - IBT Controllers, Good Guys and BURP Club. His favorite service activity was as a Key Club Advisor at Waubonsee Valley High School. Jack enjoyed fishing, golfing (he was very proud of his hole in one!) and reading. However, his favorite pastime was spending time with his family and many close friends. Visitation will be held Monday, April 15, 2019, 4:00-8:00 PM at Friedrich-Jones Funeral Home & Cremation Services, 44 S. Mill St., Naperville, IL. A Mass of Christian Burial will be celebrated Tuesday, April 16, 10:30 AM at St. Raphael Catholic Church, 1215 Modaff Road, Naperville. Interment: SS. Peter & Paul Cemetery, Naperville. To send flowers or a remembrance gift to the family of John J. "Jack" Gillespie, Sr., please visit our Tribute Store. "Email Address" would like to share the life celebration of John J. "Jack" Gillespie, Sr.. Click on the "link" to go to share a favorite memory or leave a condolence message for the family.